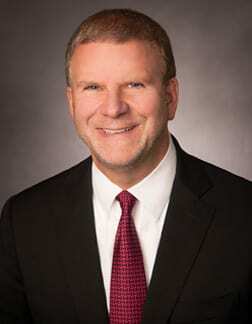 Tilman Fertitta is the sole owner, chairman and CEO of Fertitta Entertainment, Inc., which owns both the restaurant giant Landry’s and the Golden Nugget Casinos and is recognized today as a world leader in the dining, hospitality, entertainment and gaming industries. The Company today boasts revenues over $3 billion and assets of more than $3.5 billion. Landry’s operates more than 500 properties in 35 states and owns a number of international locations. It is also one of the country’s largest employers, with more than 60,000 employees. Landry’s owns and operates more than 50 different restaurant brands, including McCormick & Schmick’s, Chart House, Landry’s Seafood, Rainforest Cafe, Saltgrass Steak House, Bubba Gump Shrimp Company, Claim Jumper and many more award-winning concepts. Landry’s Signature Group of restaurants includes some of the world’s premier fine dining concepts, like Mastro’s Steakhouse and Ocean Club, Morton’s The Steakhouse, The Oceanaire, Vic & Anthony’s, Brenner’s Steakhouse, Grotto, La Griglia and Willie G’s. What is further unique about Landry’s is that it operates all of its locations and doesn’t license or franchise any of its domestic units. The Company also owns and operates numerous gaming, hospitality and entertainment venues, including the iconic Golden Nugget Hotel and Casino brand, with locations in Las Vegas, Atlantic City, Laughlin, Biloxi and Lake Charles. The Company recently launched into the online internet gaming world in the state of New Jersey with the Golden Nugget Casino brand as well. In the Houston/Galveston area, Tilman operates the award winning San Luis Resort, Spa & Conference Center, The Westin Houston Downtown and several other award-winning regional hotels. The Company’s entertainment destinations include the Historic Pleasure Pier, The Kemah Boardwalk, Downtown Aquarium Denver and Houston and Tower of Americas in San Antonio which are all featured on the Forbes, Travel Channel or USA Today’s top five lists of attractions. An influential business figure, Tilman has been frequently featured in the nation’s top financial and industry publications. He is a frequent guest of prominent national business programs on networks like CNBC and Fox Business News. He is one of the foremost authorities in the restaurant, gaming entertainment and hospitality industries. Tilman believes in the importance of giving back to the community and devotes a substantial amount of time to civic service and charitable organizations. He currently serves as Chairman of the Houston Children’s Charity, the Houston Police Foundation, and is currently the Chairman of the Board of Regents University of Houston. He also is on the Executive Committee of the Houston Livestock Show and Rodeo, one of the Nation’s largest charitable organizations. He also serves on the boards of the Texas Heart Institute, and Greater Houston Partnership. He and his wife Paige live in Houston with their four children.